I have to admit to enjoying the new ice cream season, aka summer. It is such an easy dessert, and there seem to be a rainbow of flavours that get released every year. 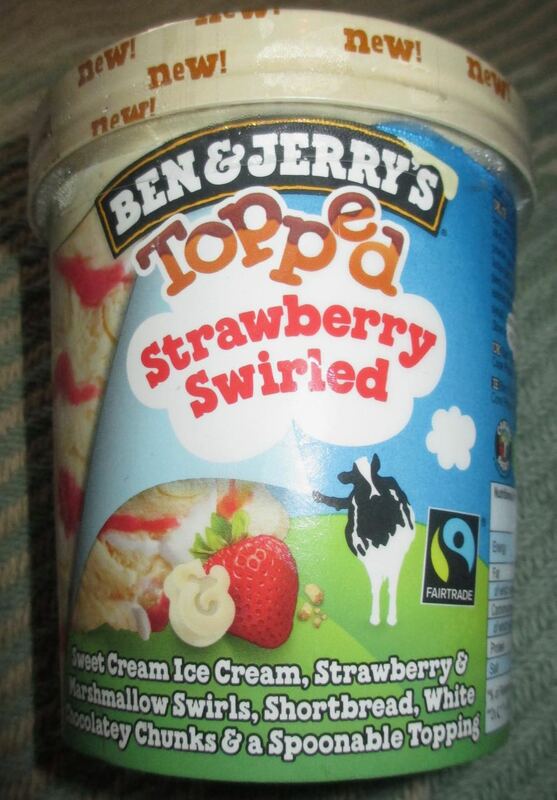 Ben and Jerry's latest offering is this new Topped Strawberry Swirled. Under the lid you can see a thick coating of soft white chocolate sealing the tub, which of course is the inspiration for the name Topped. The ice cream consists of creamy ice cream swirled with strawberry and marshmallow, containing white chocolate and shortbread pieces. The base flavour of the creamy ice cream worked wonderfully swirled with the strawberry and this gave the flavour a lovely rich fruity flavour, it was summery too with its strawberries and cream. I liked that the flavour varied depending on how much strawberry there was, this kept the ice cream interesting. The addition of the shortbread pieces bought texture, and worked well with the other ingredients adding a nice buttery biscuit taste. The white chocolate topping was soft and very rich and sweet in flavour. I loved finding pieces of it in my bowl. The problem I guess is that I used up half the tub in two portions, and the way that it got served was that I used the top half and therefore all the white chocolate topping. I’m thinking the next serving isn’t going to be anywhere near as yummy as the first ones. Secondly the topping came away in quite big awkward pieces, which was ok but offered little benefit. The conclusion is that I loved the flavours and combination of ingredients but the actual style of the topping was more novelty than useful. 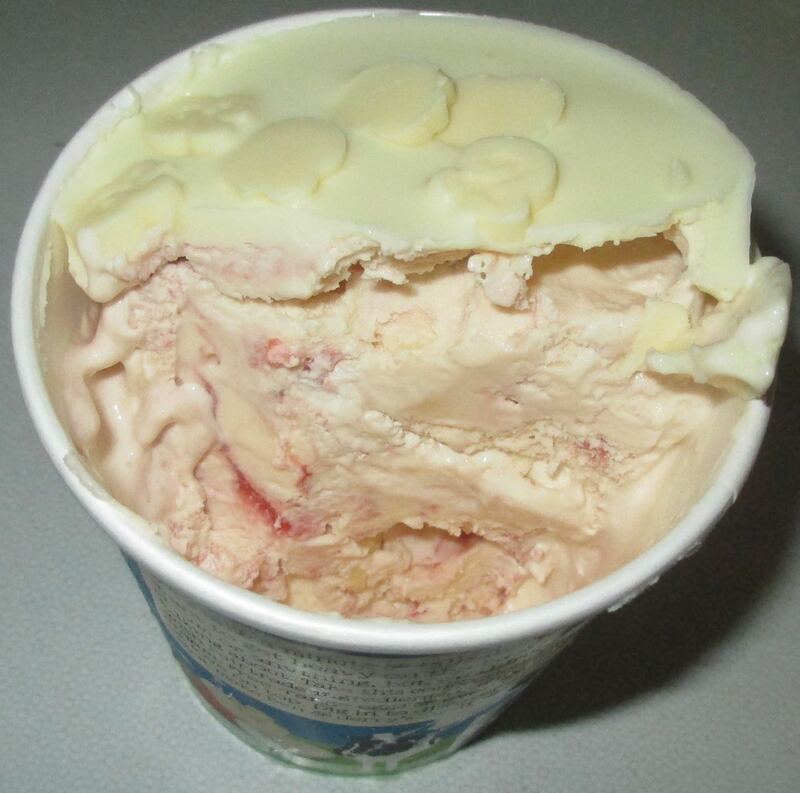 I’d rather have had all that white chocolate from the topping in pieces like white chocolate drops mixed in the tub. I haven't bothered with these "Topped" for the very reason someone FINALLY mentions: the tubs are made for more than one serving but only one top so it doesn't really work as a concept after the first bowl. I think these tubs, like the Magnum ones, would be vastly better as single-serve items.